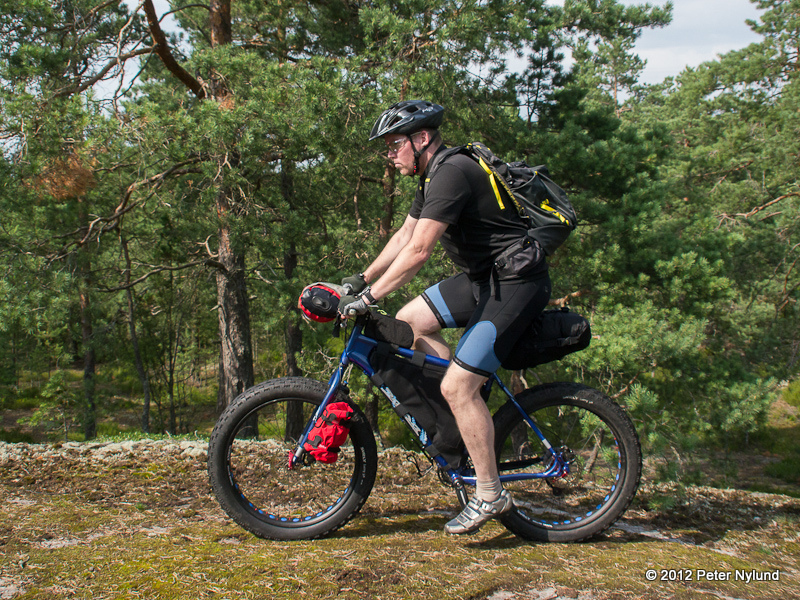 Having a new bike means getting a new frame bag as well, since the dimensions are generally different enough to require a customized version. 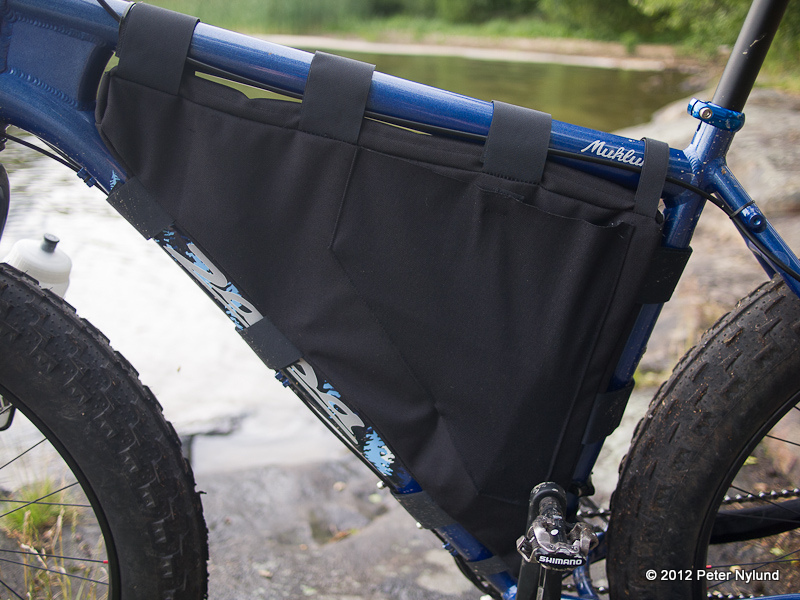 Salsa Cycles sells a frame bag made by Revelate Designs that should be about the best one available. It currently costs around 160 €, which isn't entirely unreasonable. I have made two frame bags myself earlier and therefore opted to make one for the Mukluk myself. The material cost is about 20 - 30 € and 4-5 hours of sewing maching time is needed. I made my first frame bag for the Fargo about two and a half years ago and it has held up without problems, so I used the same design again. The material is a tough 1000D Nylon fabric ordered from Shelby as well as a tough zipper and some velcro. Maybe some weight could be saved by using a lighter material, but I don't think it matters much. 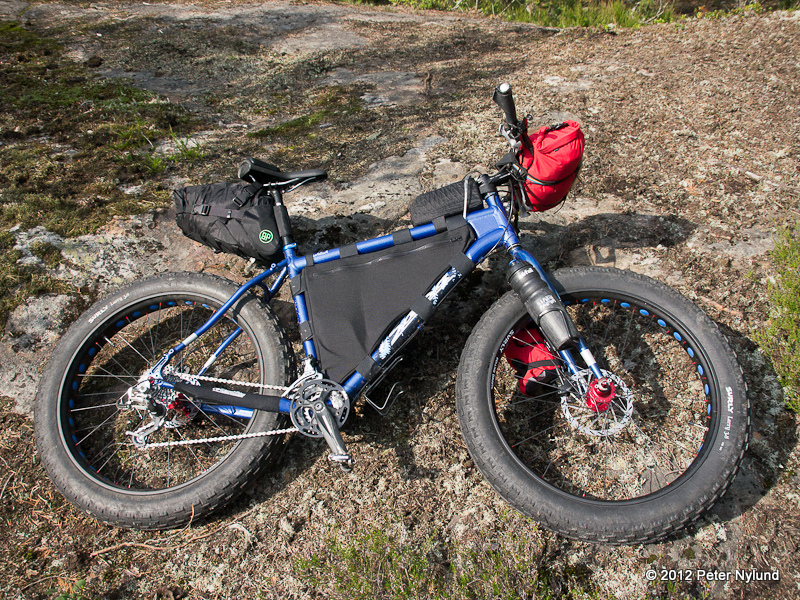 The frame bag weighs 290 g and has a capacity of around 9.5 liters, so I don't think it is heavy for the functionality it provides. 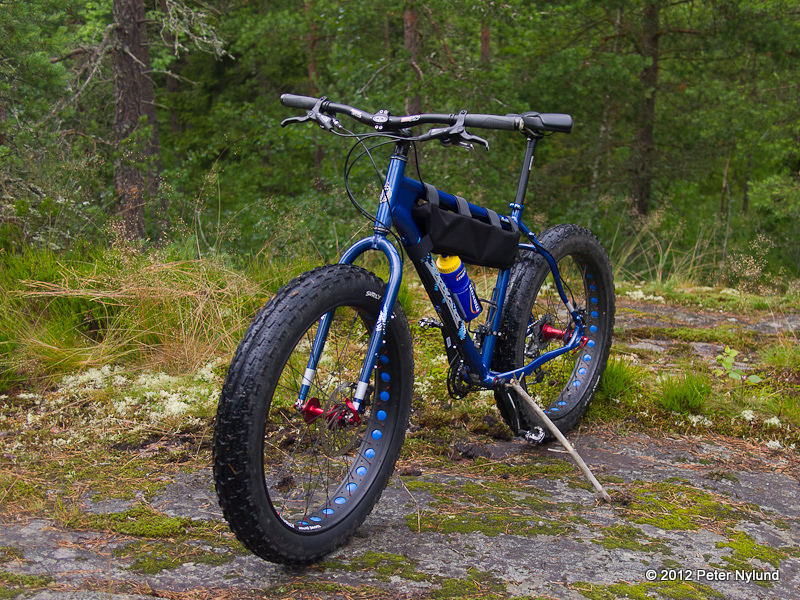 The width is 95 mm. All the panels that go against the frame tubes are padded with thin closed cell foam. The fit is fine even when it is empty. The fastening system with the velcro enables tightening it when it is empty and loosening it slightly, making it wider, when fully loaded. 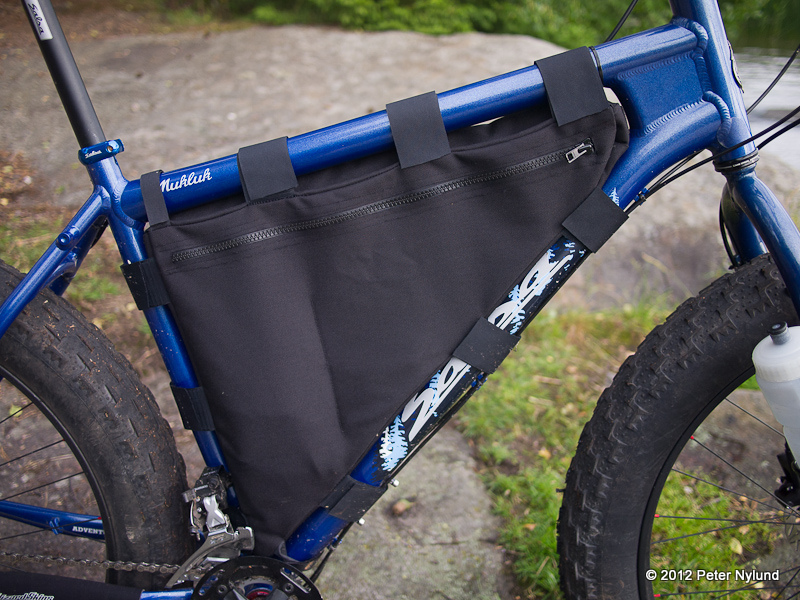 I liked the small open pocket on the left side I made for the Pugsley frame bag, so I made a similar one this time as well. It is great for having an extra map, some müsli bars and similar stuff. The Mukluk has a smaller front triangle than the Pugsley and especially the Fargo and therefore I made this one with only one zipper and a single compartment. To make sure it does not widen out too much when fully loaded, I added a removable short vertical divider, which also serves to keep a thermos bottle upright if needed. 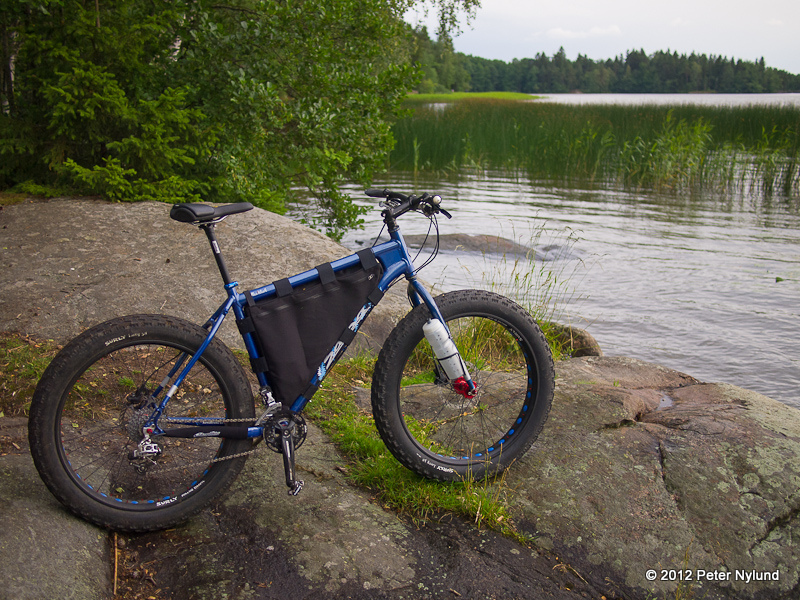 Having a frame bag is great. You don't need a backpack on short (or long) rides and you also have a place to put the mushrooms you find when you are out riding. Bring some small real bags instead of just a Buff, though. 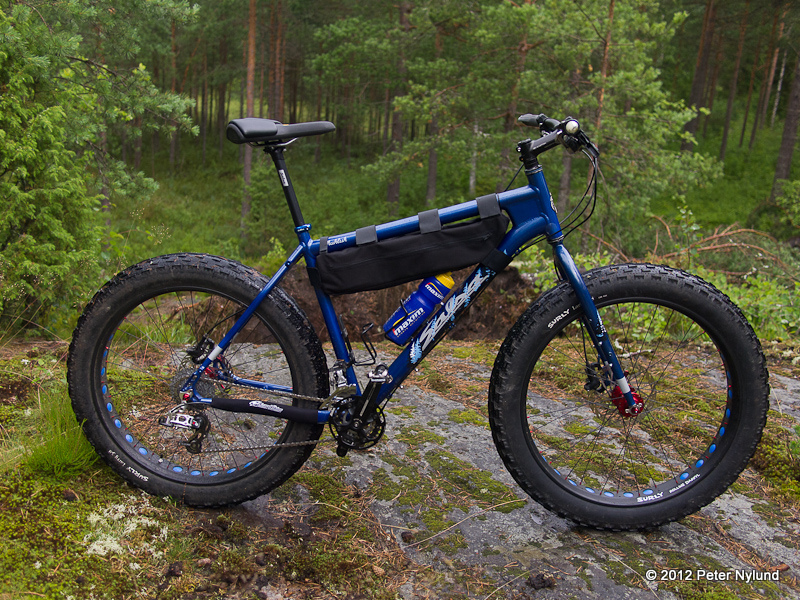 Since the Salsa Mukluk is my all-purpose mountain bike, I also made a smaller frame bag for those non-bikepacking rides. This is probably a little unnecessary, but I wanted to try it anyway. 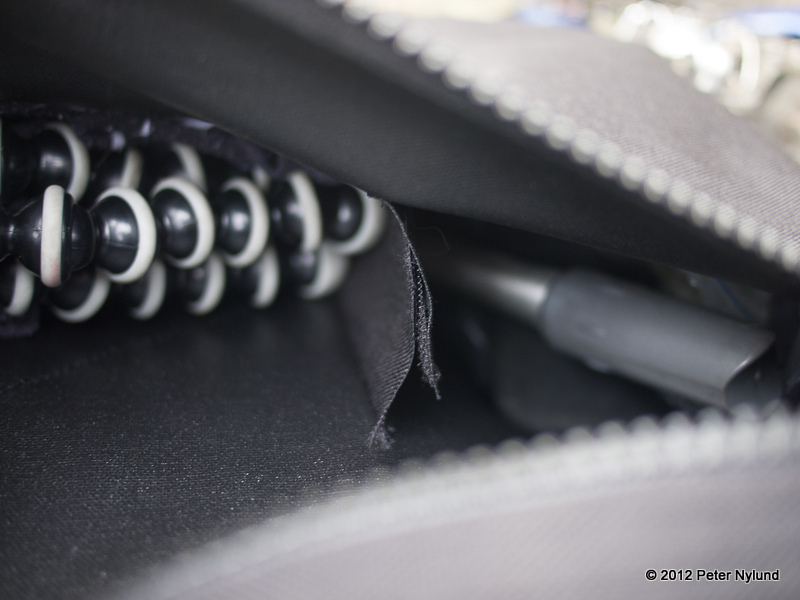 This bag is smaller with a capacity of around 4 liters and it weighs 140 g. I need to get new bottle holders, though. 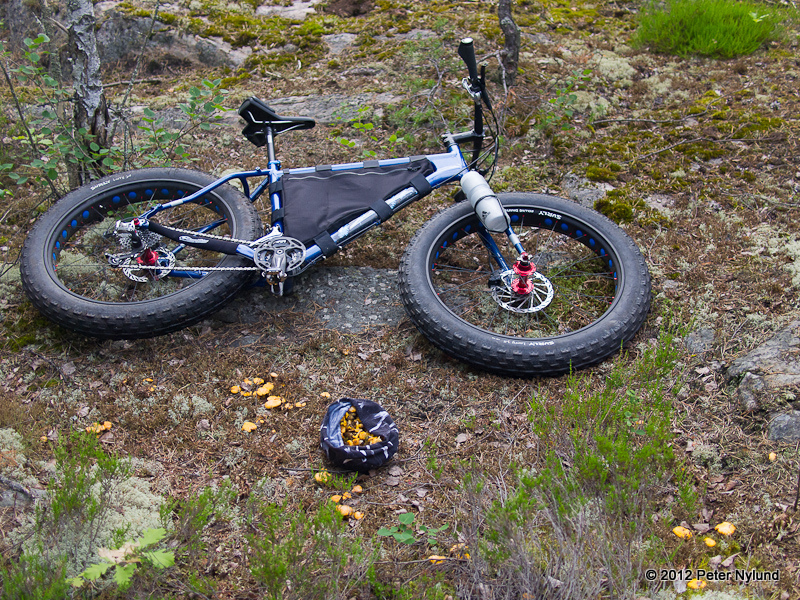 These ones sit a little high, since the bottle holder attachement points are unnecessarily high on the Mukluk. 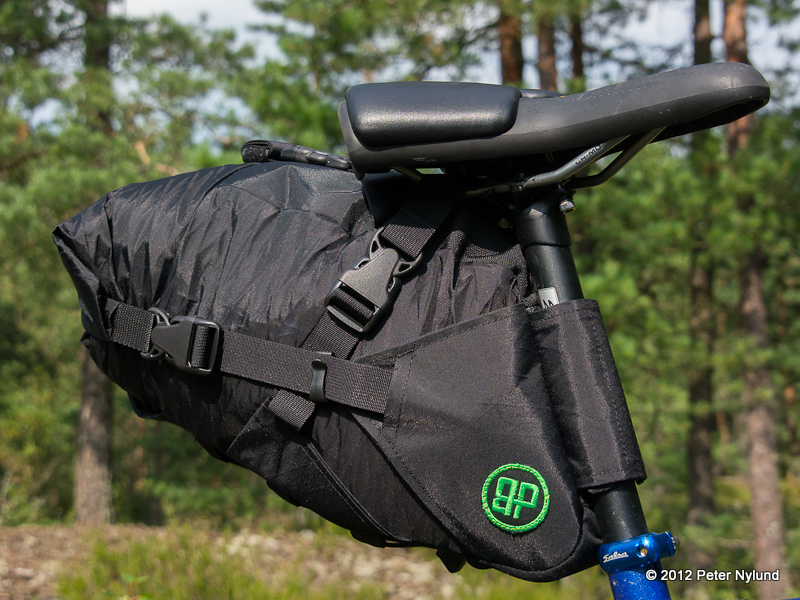 For bikepacking purposes I have two additional bags ordered from Pawel at bikepack.eu: A FuelTank and a RePack WX seat bag. They should arrive within a few weeks. I'm still going to make a handlebar harness for carrying a drysack, but I haven't yet figured out the design completely. 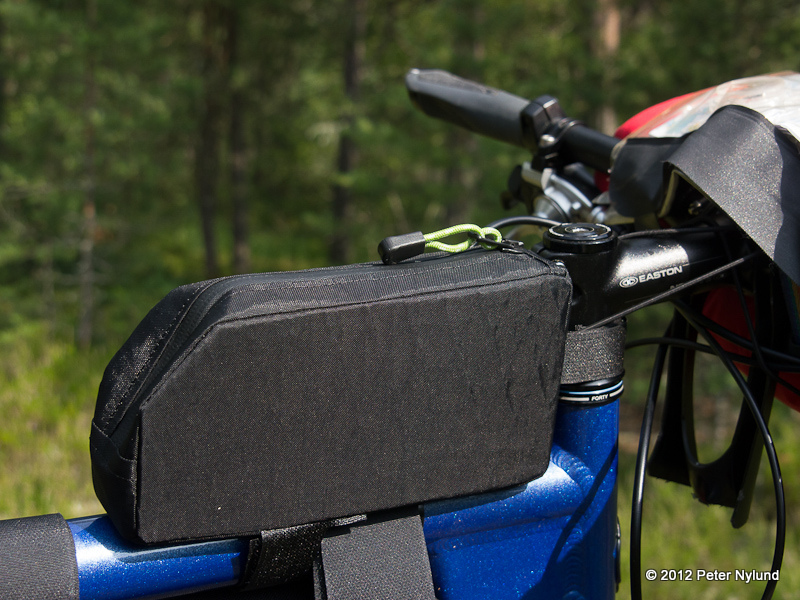 I would like to have some sort of spacers to keep the bag out from the cables and brake handles. I have an idea, but it has not been tested yet.